BOSTON – (April 5, 2018) – In autoimmune diseases such as type 1 diabetes, some of the immune system's T cells mistakenly attack the body's own cells, while protective T regulatory cells try to defend against that attack. Scientists at Joslin Diabetes Center have shown in a mouse model of type 1 diabetes that animals with fewer of a poorly studied type of T regulatory cells are much more likely to develop the disease. Most T regulatory cells develop and mature in the thymus, a small lymphatic organ above the heart, says Stephan Kissler, Ph.D., an Investigator in Joslin's Section on Immunobiology. But a small population of these cells known as peripherally induced T regulatory (pTreg) cells instead forms outside the thymus. "We are the first to demonstrate that these pTregs are important in autoimmune diabetes," says Kissler, who is senior author on a report in the European Journal of Immunology and Assistant Professor of Medicine at Harvard Medical School. The researchers now hypothesize that microbes in the gut, where most of this pTreg cell population is switched on, may be responsible for generating these protective cells and thus protecting against the autoimmune attack on pancreatic beta cells that cause type 1 diabetes. "Most of these pTregs are made in the gut," Kissler says. "We know both that gut microbes promote the development of pTregs, and that gut microbes have an impact on type 1 diabetes." Many studies in mouse models, and more recent research among human populations as well, have correlated differences in gut microbe populations with risks of developing the autoimmune condition. As Kissler's lab began to examine whether pTregs play a role in diabetes, the scientists first looked for these cells in the non-obese diabetes (NOD) mouse model of type 1 diabetes. The researchers found that pTregs were present in the pancreas and in the pancreatic lymph node, which is close to the gut as well as the pancreas, and is the major site where autoreactive T cells are triggered to launch the attack on the pancreas. This finding suggested that pTregs might defend against this autoreactive attack. Next, the researchers created NOD mice that were modified with CRISPR/Cas9 genome editing tools to remove one genetic region that is needed to produce pTregs. The resulting mice had normal populations of T regulatory cells from the thymus, but significantly diminished numbers of pTregs. These mice generally appeared similar to normal NOD mice–with the one big exception that they were far more prone to develop autoimmune diabetes, Kissler says. The next step for his lab will be to test the hypothesis that these protective pTregs in diabetes are dependent on gut microbes, and that this mechanism could explain the influence of gut microbes on type 1 diabetes risk. The researchers will take advantage of Joslin's recently created facility for studying germ-free animals, testing various sets of bacteria among germ-free mice to find out which bacteria may boost or depress populations of pTregs while also modifying the risk of diabetes. Clinical trials are now underway that aim to see if the large populations of T regulatory cells generated in the thymus can be exploited to better protect against type 1 diabetes. While pTreg research is still at an early stage, better understanding of these cells may eventually point toward potential drug candidates, Kissler suggests. 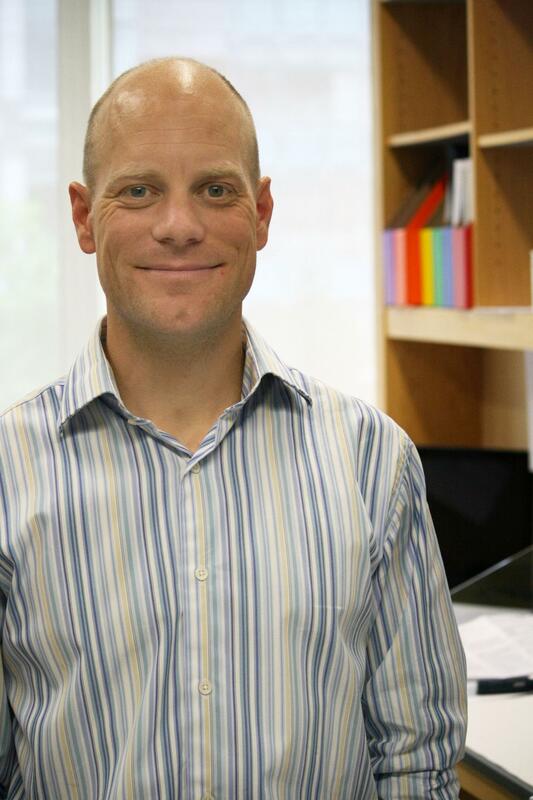 "If we find that these cells are induced by bacteria, and then find which bacterial products affect that process, we might be able to bypass the complexity of changing the gut microbes and instead intervene directly to increase the pTregs," he says. Cornelia Schuster was first author on the paper, and Franziska Jonas and Fangzhu Zhao also contributed to the work. Funding for the work was provided by the National Institutes of Health and the Mary K. Iacocca Foundation.